Fresco by Fra Angelico, in San Marco in Venice. 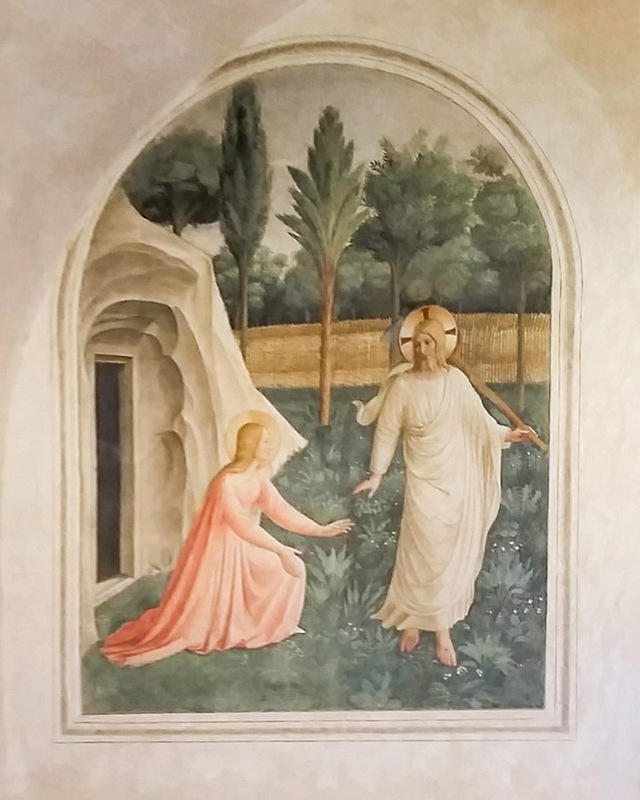 This entry was posted in Easter and tagged Easter, Fra Angelico, Fresco, Noli Me Tangere, Victimae Paschali Laudes on April 21, 2017 by frjfkauffmann. This entry was posted in Easter and tagged Easter, Fra Angelico, freso, Noli Me Tangere, Victimae Paschali Laudes on April 1, 2016 by frjfkauffmann.